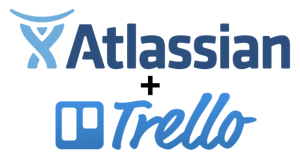 Blended Perspectives » Trello acquired by Atlassian! In a great move for anyone looking for a simpler interface for business teams now that Trello has been acquired by Atlassian. Although this is a cloud only solution we’re guessing that this product will find its way into the Jira or Confluence offering. There is a lot of concern that it won’t always be free but Atlassian has a low cost model and there are a lot of synergies; Hipchat afterall, is free on the cloud. We hope to see the same strategy applied to Trello. it is important to look on the positive side of this acquisition. I believe it’s an acknowledgement that Trello has built a beautifully elegant and simple interface and that Atlassian want to capitalize on that across all their products. Furthermore it underpins Atlassian’s expansion into the business team’s space. It will be very interesting to track the evolution of Trello and the U.I’s of all the products in the months ahead. Regardless, in the short term, this is surely the kind of investment in quality winning products that enterprise customers are looking to see. I know that our team are really excited to add this to the formidable arsenal of Atlassian solutions for our clients teams! If you want to find out more about how Blended Perspectives can provide you with Atlassian solutions, then contact us.